The East Neuk Preservation Society has been involved in a number of different projects in the area and takes great pride in being able to share a few of these details with you below. If you know of a project or would like further information on where to find out more about historic buildings you can download our advice sheet here. This 17th and 18th house of great character was purchased by the Society, and its renovation was completed in 1967. 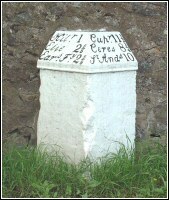 The restoration cost about £4500. It was then sold to become a family home again. This 16th c tower house on the estate of Largo House had deteriorated to a very poor state when the Society stepped in in 1978, took on the project, raised funds for it and carried through a full restoration. 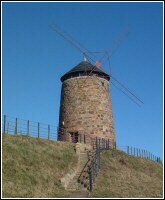 The windmill project was initiated by the Society in the 1970s, with fund-raising and many meetings, to ensure the restoration of the windmill, and to excavate the foundations of the houses of the salt panners of St Monans, just below the windmill. There are now information boards explaining the process of salt production there, and it has become a heritage site and visitor attraction. The burial place of Archibald, 7th Earl of Kellie and his sister Anne (d.1803) was probably built as a folly by an earlier earl. Earls had been buried in their own aisle in Carnbee church until then. 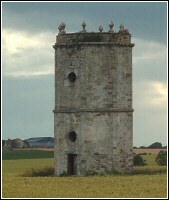 The surrounding fields belonged to a local farmer but the mausoleum was still retained by The Earl of Mar and Kellie. 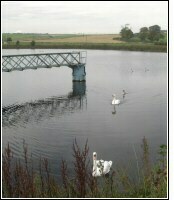 This project was jointly funded by the Society and Hew Lorimer, and overseen by Murray Jack. It included the removal of the dangerous roof, cleaning out of the interior and repair of railings around the two graves. 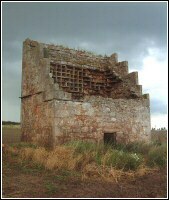 The doocot at Kilrenny had a tree growing through the roof when restoration began, but is now re-roofed and can be viewed on the way to Kilrenny Common. 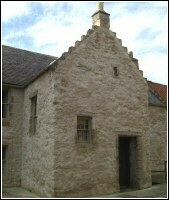 At Newark, there was re-pointing and harling of the walls of the round doocot, leaving the flower hat. 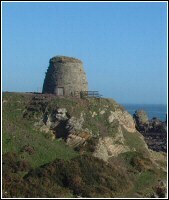 Pitkerie doocot was restored in 1975, including the central revolving ladder for collecting eggs, known as a potin. 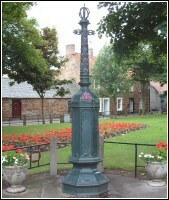 The Society had been involved in restoration of the historic milestones around the roads of North East Fife, with the active participation of Fife Council. 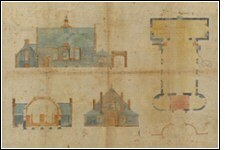 This 1893 Gillespie and Scott plan was recently discovered by Colinsburgh Community Council, but was in poor condition. It was sent to Hopetoun House for restoration, where it was flattened, had water stains removed, backed onto linen and stored in an acid free box. Digital copies were made and one of these is now on display in the Town Hall. 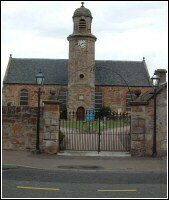 • Area around St Monan’s Cell was tidied up and a retaining wall built. • Butler’s House, Arncroach bought and sold to restoring purchaser. The Society has been responsible, either in part or wholly, for a number of publications over the years. Some of these are still available on request. 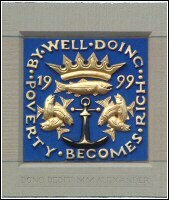 Miss Scott Moncrief, the founder member of the Society, set in motion an awards scheme “ in recognition of an outstanding contribution to the heritage of the East Neuk”. The first award was given in 1988 to Pitcorthie Mains Farm where the Balcarres Estate had converted old farm buildings into four houses. 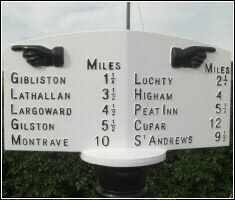 This was followed by an award to the Roads Department of Fife Council in recognition of their work on the road markers and milestones. 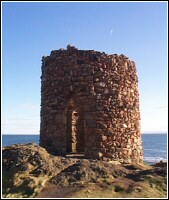 A third recognition was given to Hurd Rolland for their work on the windmill at St Monans. 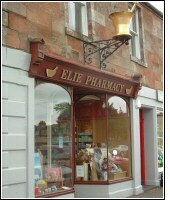 In recent times awards have been given to the Fisheries Museum for their extension, to Gillespie House in South Street Elie for the restoration of the stone carved doorway, to Fife Council in recognition of their work on Cellardyke Harbour, to Kilconquhar Church for the changes carried out to the interior of the Church, and for the restoration of Elie Pharmacy. Under the chairmanship of Jerry Eccles, a local Architect, the purpose of the awards for 2007 was widened and the award system now aims to bring to the attention of residents and businesses in the East Neuk and its environs, the value of our existing surroundings and to encourage by example, to protect, improve and refresh the built form and to generally enhance their surroundings. There were two categories, Built Form and Environment. Fourteen entries were received and five of these won awards. • An extension to Eden Cottage, Upper Largo. 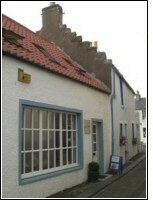 The Coach House, Pittenweem for the rebuild of old garage premises into a retail concern selling local knitwear and crafts. 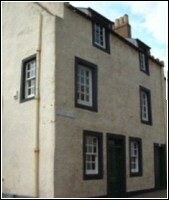 A restoration of Wynd Lodge, Rankiellor Street, Elie. • Fife Council received 2 awards, for its work on the Gillingshill Nature Reserve and for it's work on the milestone at Pitcruvie crossroads. Awards were presented at Kellie Castle in September 2007 by the Vice-President of the Society, Mr David Pirie, consultant architect with Hurd Rolland. It is hoped to present awards every three years. Details will be published in due course on this website.